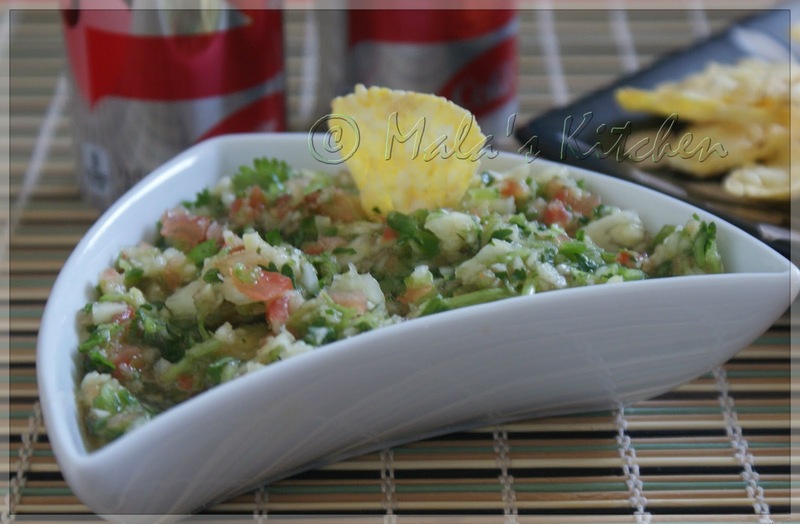 After a long holiday I have come up with a new recipe which i tried and tested - Pineapple Salsa. Seasoned with indian spice. Mouthwatering pineapple flavour with tomato & lime juice with exclusive indian touch. To be Served with chips or any other dish. Kids will love the taste. 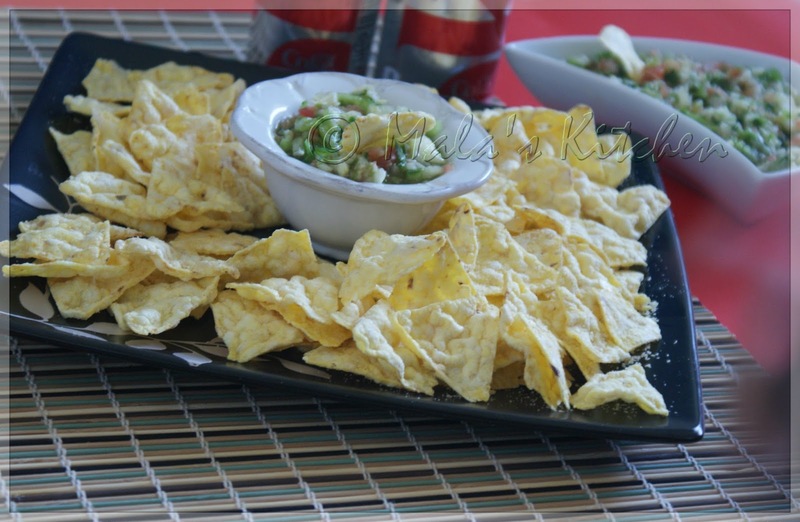 Add all ingredietns and blend into a food processor and serve with chips. Store it in the refrigerator 1 or 2 days. 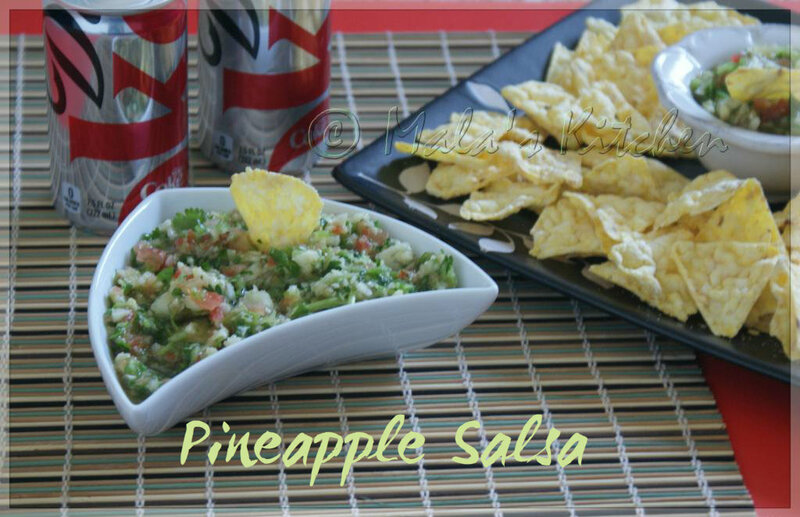 Pineapple salsa is my fav salsa. Looks delicious.